Matthew 24:36 – But of that day and hour knows no man– But, was that true when the epistles were written? 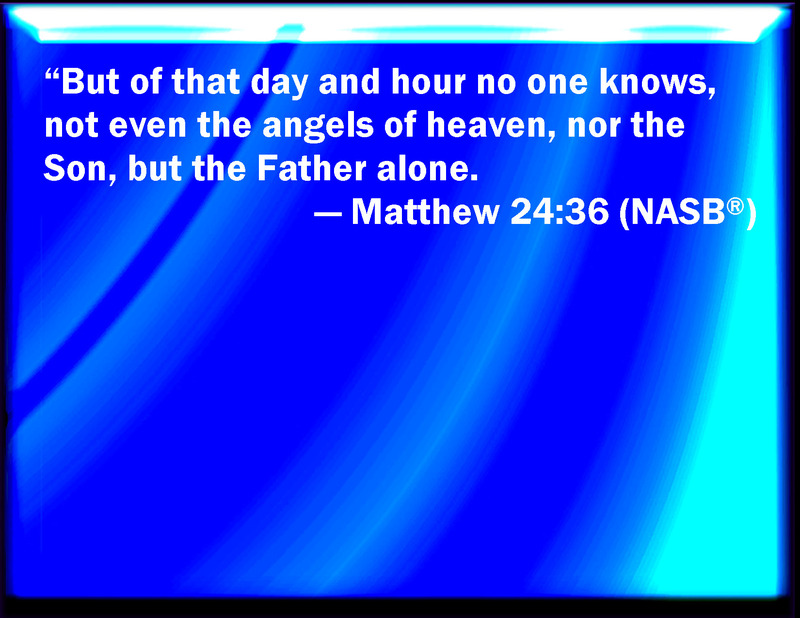 Matthew 24:36 and Romans 13- What About “No Man Knows the Day or the Hour”? We are examining the Olivet Discourse and Jesus’ statement in Matthew 24:36 and 25:13 that the disciples did not know the day and hour of the coming of the Lord. Be sure to read the first installment in this short series. The second thing we want to notice is that in Matthew 25 Jesus concluded the parable of the BrideGroom and the Virgins with the exhortation: “Watch, therefore, for you do not know the day or the hour in which the Son of Man will come. In what seems to be a contrast, Paul says “knowing the time.” This is more than a little important. Does the fact that Jesus said they did not know the day or the hour, in Matthew 24:36 or 25:13, whereas Paul said the Romans knew the time, indicate or demand that two different events were in view? No. And I believe this is a glaring oversight in traditional views of eschatology. It is widely held that if / since Jesus said he did not know the day or the hour of his parousia in Matthew 24:36. Wayne Jackson, an outspoken critic of Covenant Eschatology has written: “Jesus himself did not know when “the day” of his coming (cf. v. 36) would be. Yet, he had given signs whereby others might “know” (v. 33) that he was providentially “nigh” in the destruction of Jerusalem. Obviously the two events were not the same.” (https://www.christiancourier.com/articles/19-a-study-of-matthew-24). Jackson even went so far as to say, commenting on James 5:8, and the declaration that “the parousia has drawn near,” that James “could not have been predicting the literally imminent return of the Savior, for such knowledge was not made available to the Lord’s penmen. Not even the Lord himself knew the time of his return to earth (Matthew 24:36).” (Jackson, “The Menace of Radical Preterism” article on his website www.christiancourier.com). “The truth of the matter is, the Scriptures provide not the slightest clue as to the time of the Lord’s return. And the strongest argument against this baseless notion is the fact that Jesus, who preached the sermon recorded in Matthew twenty-four, stated that not even he knew the time of his return. ‘But of that day and hour knoweth no one, not even the angels of heaven, neither the Son, but the Father only’ (Matthew 24:36). For Jackson and most futurists, Matthew 24:36 is the lynchpin of their claim that Matthew 24 is divided into two discussions. (https://www.christiancourier.com/articles/45-jerry-falwell-and-the-antichrist). This is highly important, but, Jackson seems not to realize that he has, implicitly of course, negated his own eschatology! What Jackson and all others who rely on this claim overlook is the Revelatory Work of the Holy Spirit, after Jesus’ ascension back to the Father. In John 16, Jesus told His disciples that there were many things he could not yet tell them, but that the Father would send the Spirit, who would reveal to them “things to come” (John 16:7). The Spirit was to reveal to the disciples what Jesus could not reveal to them while he was on earth. What was to be revealed was “things to come.” In other words, what Jesus did not know while he was on earth, (expressed in the Olivet Discourse) was to be revealed by the Spirit after Christ’s ascension! It is, therefore, a denial of the revelatory work of the Spirit to insist that because Jesus did not know the time of His coming while on earth, as Jackson himself acknowledges, that this same “ignorance” prevailed after his ascension, and the sending of the revelatory Spirit. “And do this, knowing the time, that now it is high time to awake out of sleep; for now our salvation is nearer than when we first believed. The night is far spent, the day is at hand. Therefore let us cast off the works of darkness, and let us put on the armor of light. Let us walk properly, as in the day, not in revelry and drunkenness, not in lewdness and lust, not in strife and envy. But put on the Lord Jesus Christ, and make no provision for the flesh, to fulfill its lusts.” (My emphasis). Do you catch that? Paul said the Romans knew what time it was on God’s prophetic calendar! And he said the same thing to the Thessalonians (1 Thessalonians 5:1-3). And not only did Paul say the Romans knew what time it was, he said the hour had come for them to be raised out of sleep (i.e. death)! Not only did Paul say, through inspiration of the Spirit sent by the Father who knew the Day and the Hour, that the Romans knew what time it was, he then proceeded to say “the Day has drawn nigh”! Was Paul wrong? Was he deluded? Was he merely expressing some sincere, but ultimately wrong, hope that the Day was near? Was Paul ignorant of Matthew 24:36? No, Paul, the apostle of Jesus Christ, inspired by the Spirit sent by the Father who knew the Day and the Hour, stated emphatically that the time of the parousia was when he wrote, now near, and they well knew it! 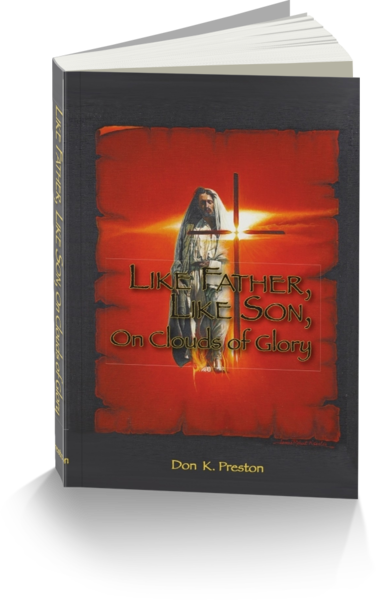 For more on this critical issue, see my book Like Father Like Son, On Clouds of Glory. There, I give an extensive rebuttal to John MacArthur and his appeal to Matthew 24:36 in his attempt to negate the imminence of the coming of Christ in the NT. So, when we read the Olivet Discourse, whether Matthew 24:36, or Matthew 25:13, we must realize that the statements of “ignorance” expressed there do not apply after the sending of the Revelatory Spirit! That ignorance does not – as Jackson claimed – negate the objective imminence of the parousia expressed by James and Peter and John or whoever. If the imminence expressed by those writers was a false imminence, then it was the Father’s fault, because it was He, through the Spirit, who inspired those writers to declare: “And now, in a very, very little while, the one who is coming will come, and will not tarry.” It is patently wrong to appeal to the Olivet Discourse in an attempt to negate the NT statements of the nearness of the parousia. The writers of the epistles told the truth when the said the end had drawn near; Matthew 24:36 does not apply to them!